New Zealand Winegrowers has rallied to dispel fears that a bumper crop across the country this year will lead to a wine glut. “There is and will be no glut,” Chris Stroud, the marketing manager for Europe at New Zealand Winegrowers told the drinks business. “There’s virtually no bulk wine from New Zealand available to buy at the moment. The 2013 vintage being abundant will not be a problem,” he added. 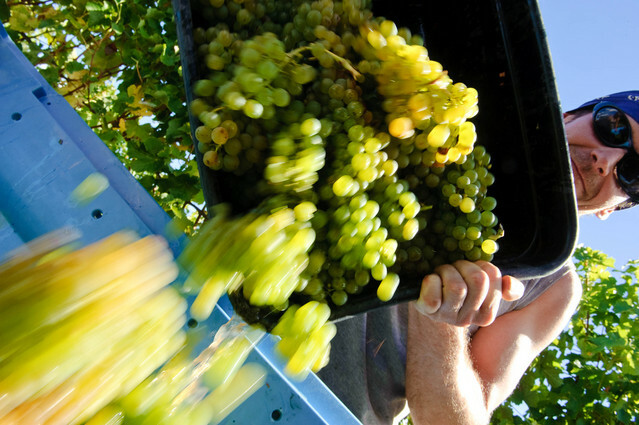 Down 18% on 2011, the 269,000-tonne 2012 crop helped to rebalance supply and demand within the New Zealand wine industry. “Estates are currently managing a real shortage of wines and inventories are very low after the 2012 vintage was so much smaller than needed. There is very little back stock and time is needed to rebuild our supplies,” Stroud told db. Earlier this week, db reported that fears had been sparked of wine glut after one of the driest summers on record has led to outstanding grape-growing conditions across the country. The 2013 harvest is underway across the country, with New Zealand Winegrowers reporting “stunning” conditions, citing the 2013 vintage as “on to remember.” Picking will end in early May. “The warm and dry summer has been perfect for growing and ripening grapes. “As we move into autumn, with warm days and now slightly cooler nights prevailing, the prospect is for an outstanding vintage in all our regions” said New Zealand Winegrowers chief executive Philip Gregan. “We’re looking forward to a more normal vintage than last year to help restore inventory levels and support continuing growth in exports, which are currently running 6% ahead of 2012,” Stroud added.